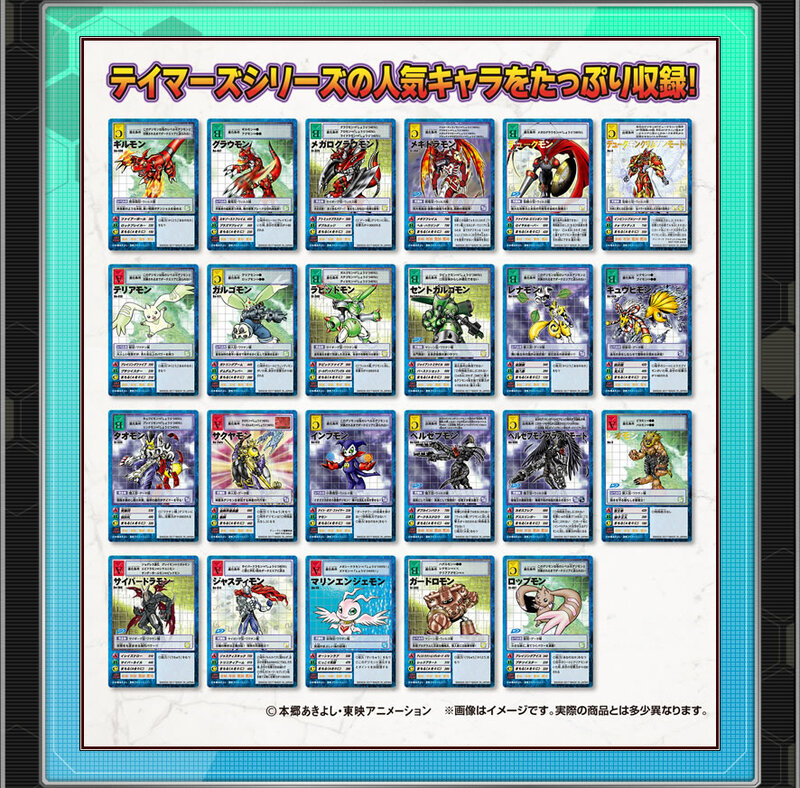 Various updates regarding the D-Ark and the cards coming out for Tamers 15th. Some of these we already knew about because of V-Jump or elsewhere, but they've been added to the various pages. First up, we have a sample of how the D-Ark has had part of the evolution animation added to it. 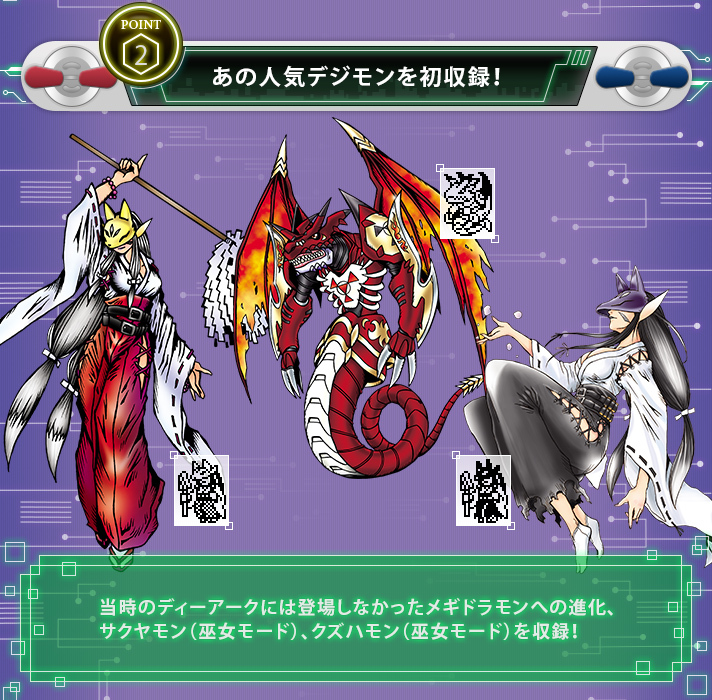 We also get to see the lineup of cards coming with the card set. 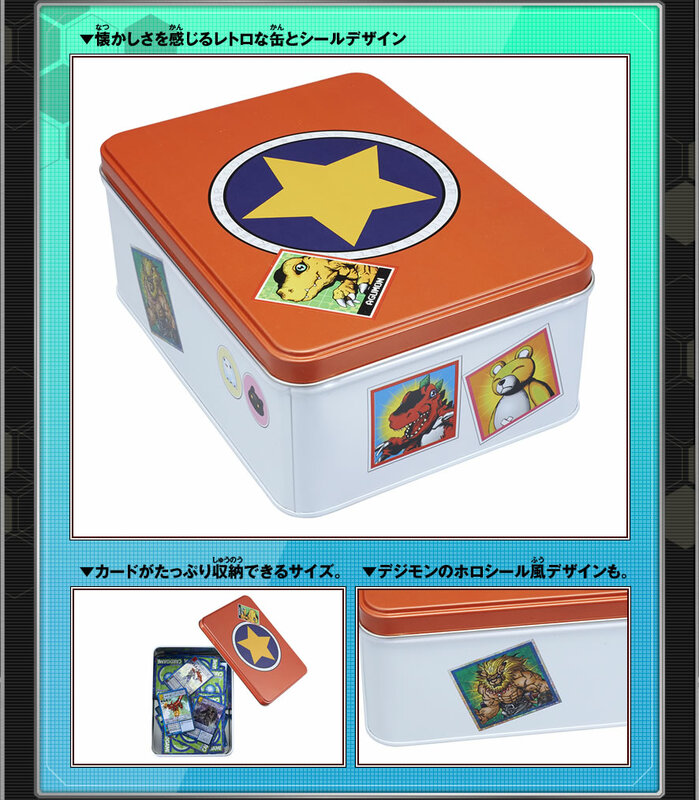 The D-Ark page at the Premium Bandai store has been updated. It will be available for pre-order on July 22nd for 9,990 yen and will ship next January. 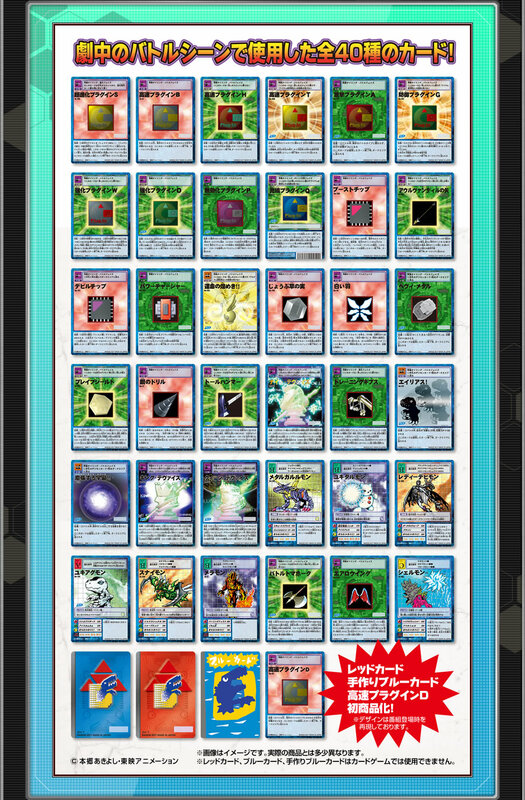 The page for the cards at Carddass has been updated heavily also. It will be available for pre-order the same day for 6,480 yen. Previous news thread with other information can be found here. Feel free to continue any conversations. Update- Some small additional updates. Kazu's card will be scannable, but it avoids mentioning what it will actually do. It mentions that some of the sticker definitions will have different effects on them (holo, etc.) but it doesn't mention if these will simply be decorations that look like stickers, or actual stickers. More updates will show up on July 15th. Update- Thanks to Actar for pointing this out. 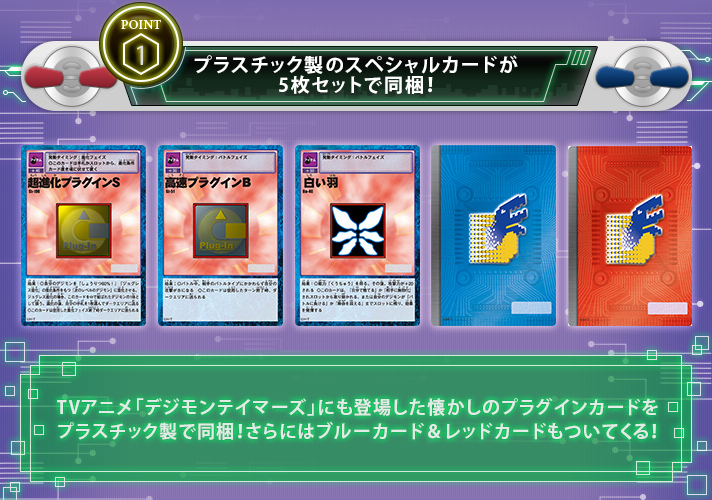 The 15th D-Ark will come with plastic reproductions of 3 card game cards and circuit board versions of the blue and red cards. So have they revealed yet what the two new cards are going to be (assuming they haven't just been referring to the Blue Card and Red Card)? From the looks of it, the D-ark comes with 5 plastic cards. Is this correct? Are all the cards in the card set made out of plastic? since we will be able to swipe the cards on the D-Ark, having them plastic would be ideal. Holy smokes, is one of the new cards Hirokazu's hand-drawn Blue Card? That did not exist before, right? The hand drawn Blue Card. I am so excited. I'll probably buy both again (and the tin - I'm a sucker for replicas). Why is it that I didn't notice the pre-orders begin on July 22nd, and not June 22nd? I was expecting it to start tomorrow. Back to the cave then... Wake me up in a month! oh, wait, it's July 22 and not June 22? Pfft. so much for me being excited. oh well! If High Speed Plug-In D is a humorous acknowledgement of a typo in the show, that's really cool; I wanna find what episode that supposedly happened now.